We were delighted to be able to attend a Wreath-Laying Ceremony and Poetry Reading in the National Memorial Gardens at Islandbridge in honour of the Irish soldier poet Francis Ledwidge on Sunday 2nd August 2015 at 12 noon. This is an annual event, and was attended by a large crowd who were not deterred by the rain which fell during the earlier part of the ceremony. The commemoration took place in the beautiful Rose Garden of the Memorial Gardens, and it looked resplendent in full bloom - a tribute to the gardeners of the Office of Public Works who maintain this site, and a fitting location to remember this great irish poet.. Poet and artist Michael O'Flanagan welcomed all on behalf of the Inchicore Ledwidge Society before calling on Ledwidge biographer and historian Liam O'Meara to act as MC for the proceedings. Liam outlined the history of the commemoration, gave a synopsis of Francis Ledwidge's life and read some of his poetry, before handing over to the Guest of Honour, Dublin's new Lord Mayor, Councillor Críona Ní Dhálaigh. 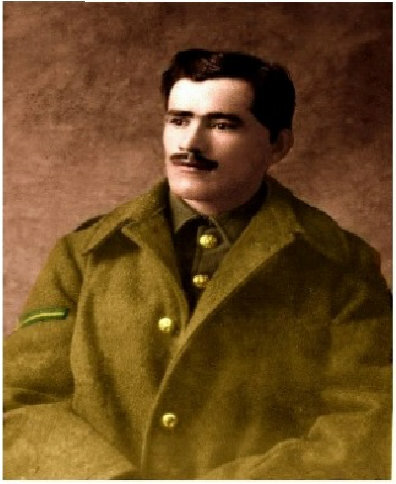 Críona, a fluent Irish speaker, spoke in Irish and then in English, reprising Ledwidge's life, the reasons why, as a Captain in the Irish Volunteers, he chose to join the British Army to fight for the rights of small nations. She spoke of his friendship with Thomas MacDonagh and his sorrow at MacDonagh's execution in the aftermath of the Easter Rising and referenced his many poems about that Rising written before his own death in battle in 1917. Críona acknowledged Ledwidge's nationalism and the path he had chosen to achieve rights for his own small country, and contrasted that with the path his friends at home had taken, quoting from some of Ledwidge's works to illustrate her theme. The Lord Mayor's words were enthusiastically received by those present who gave her a resounding round of applause as she finished. Liam O'Meara then called on several poets - winners or runners-up in the Ledwidge Poetry Competition which the Society organises every year, to recite a poem each, after which a moment's silence was observed in memory of a brave Irishman. Then the Lord Mayor proceeded to the central Memorial Cross where she laid a wreath in memory of Francis Ledwidge, and all gathered for a group photograph. All were welcome at a reception afterwards in The Glen of Aherlow, Emmet Road, Inchicore which continued into the evening and was an enjoyable meeting of minds and poets that, we are sure, Francis himself would have enjoyed.. This annual event is sponsored by the Inchicore Ledwidge Society which deserves to be congratulated on a great day and also on the work it does throughout the year. The society can be contacted at 086 4099148.